Just about everyone loves great wallpapers to spruce up their device desktops and backgrounds, but sometimes obvious scenery is a bit distracting. 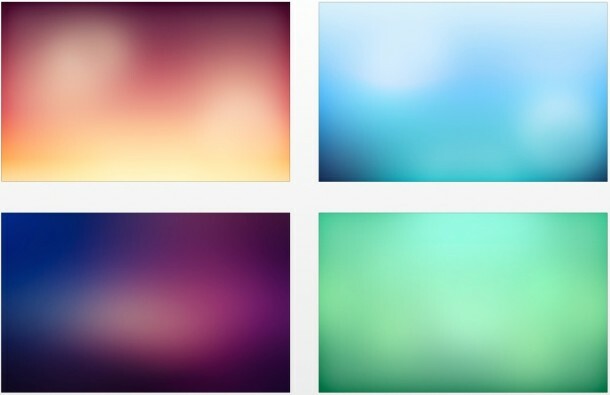 Rather than settle for something totally dull, a wonderful in-between choice is to use some gorgeous color gradients as wallpaper instead, and that’s exactly what these five choices offer in a variety of colors. With choices of fiery reds and oranges, icey blues, brilliant turquoises, or nighttime greens and dusky purples, these beautifully simple wallpapers cover a wonderful variety of gradients and look absolutely fantastic as wallpaper. Each image is offered at 2560 × 1600 resolution, so they’re sure to fit your Mac, iPad, iPhone, Windows PC, Android phone, or whatever else you want to spruce up with some beautiful colors without being overly distracting or obnoxious. Enjoy! And as always, if you’re not liking these images for your background picture pleasure, be sure to browse through our wallpaper archives to find something you do like instead. Thanks to Dan for the wallpaper tip. If you have any awesome wallpapers you want to share with us, just shoot us an email or a tweet.